Nine exercises which can be used both for training and for test of the verb to be for beginners. (I have ws as Tmk939 on ESLPrintables.com).Thank you!!! The above downloadable teaching material is a great resource for elementary school students and kindergartners and nursery school students at Beginner (pre-A1) and Elementary (A1) level. 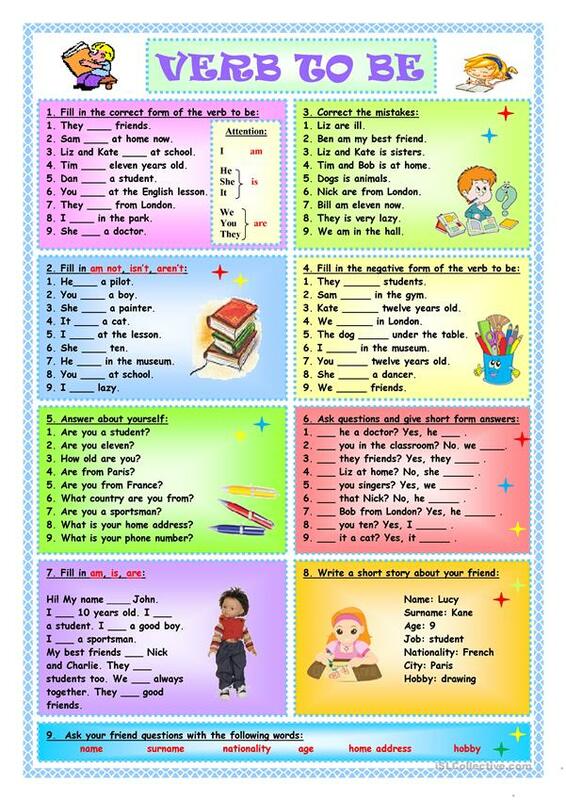 It is great for revising BE (auxiliary verb) in English, and is useful for enhancing your class' Speaking, Reading and Writing skills.